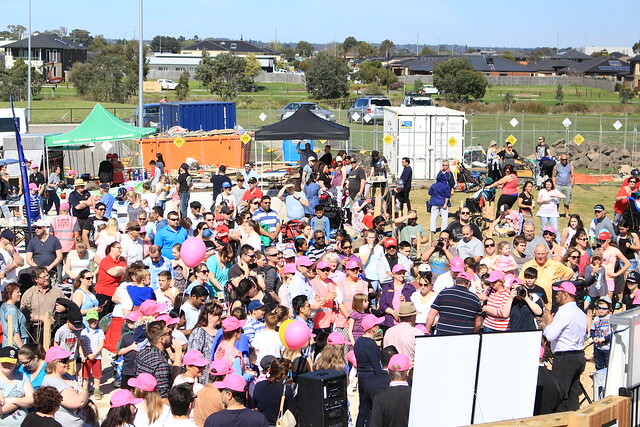 Thousands of people joined to celebrate Livvi’s Place Casey grand opening, the culmination of three years planning and fundraising on Sunday 13th September 2015. 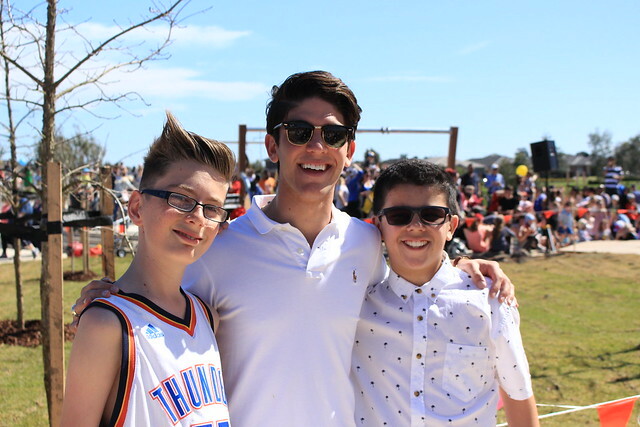 The party started at 11am with the sun beaming down providing wonderful weather. 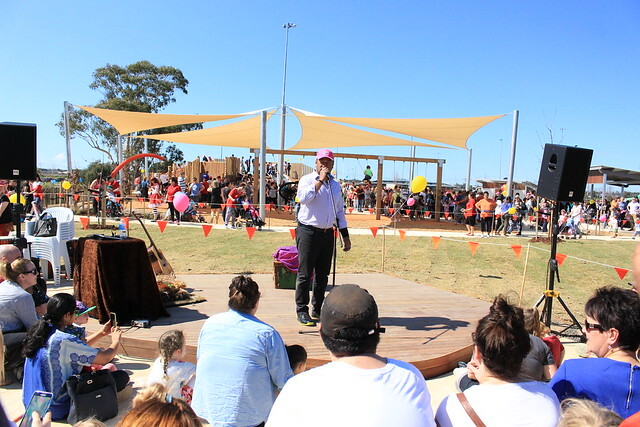 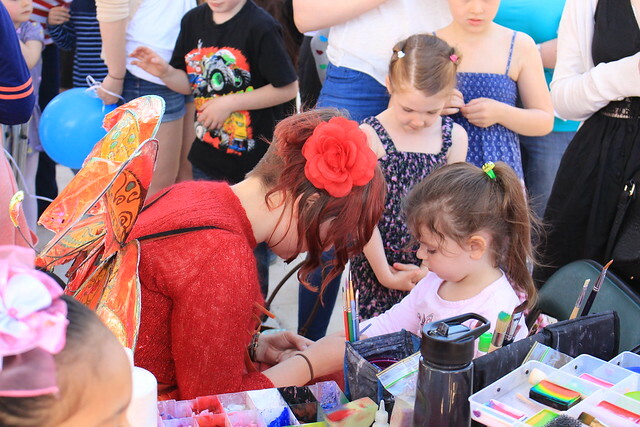 Balloons, face painting, sausage sizzle and performances from local groups entertained everyone. 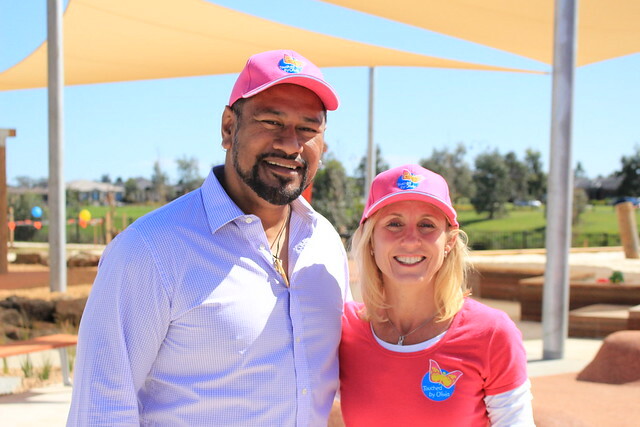 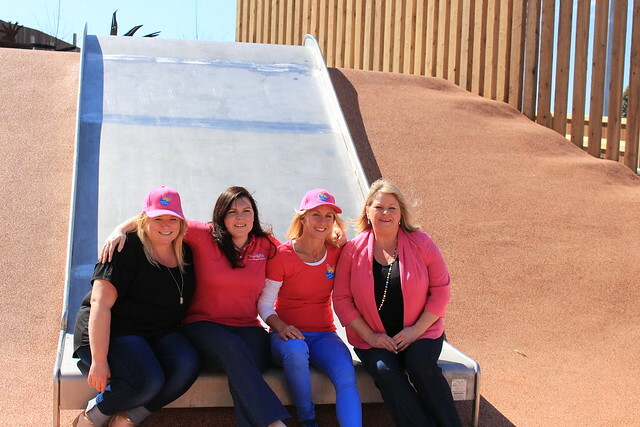 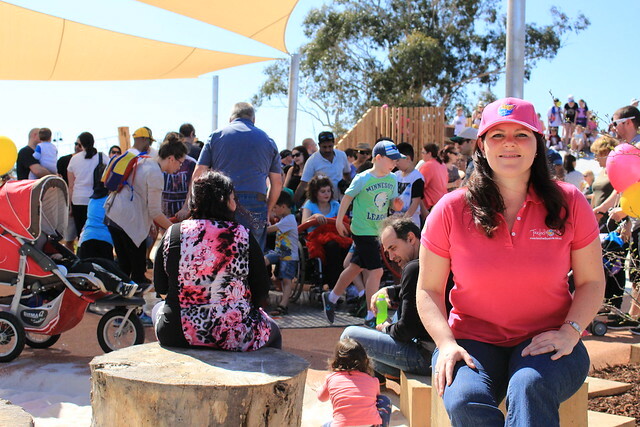 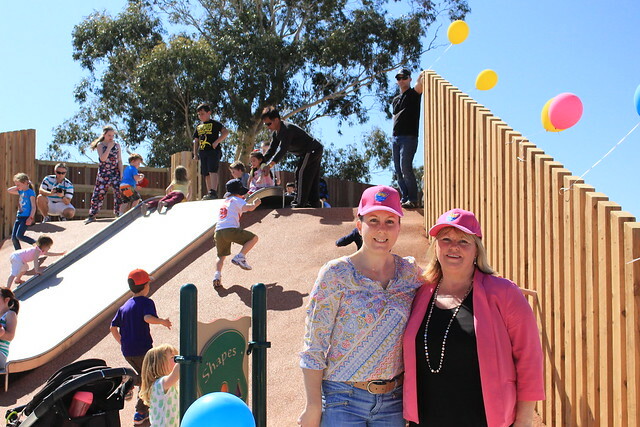 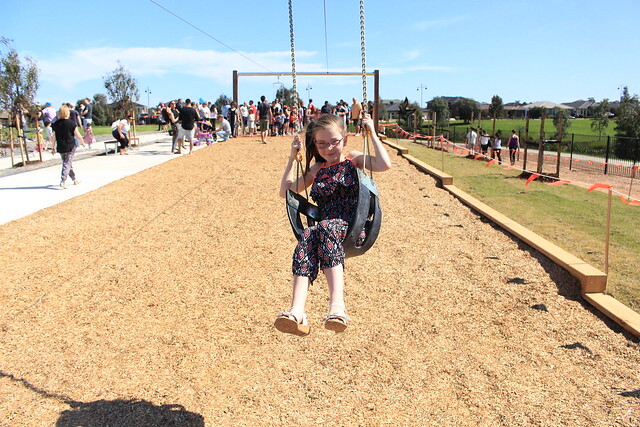 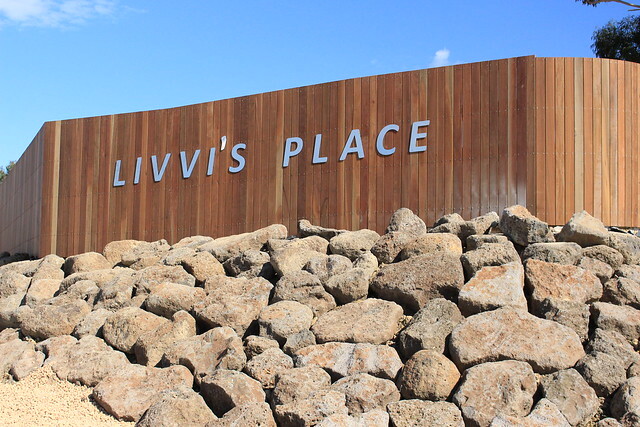 Together with the City of Casey, Touched By Olivia built the first Inclusive Playspace for the South East of Victoria, located in Marriott Waters, Lyndhurst. 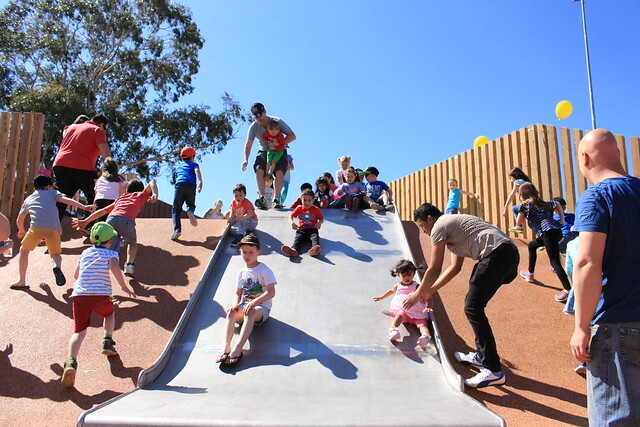 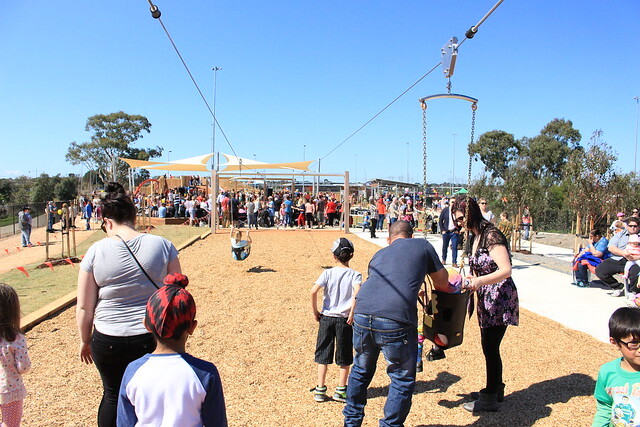 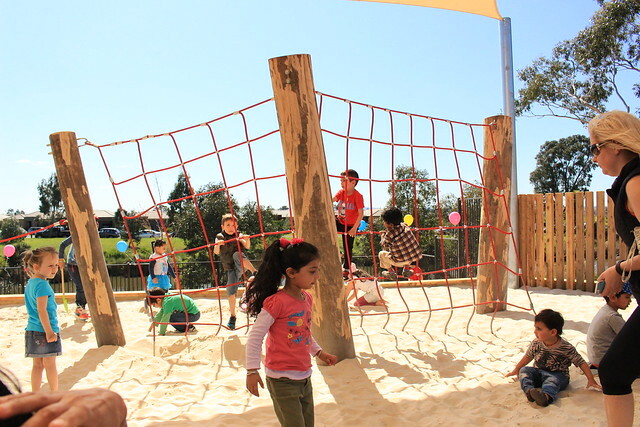 Many playspaces in Australia do not meet the needs of their community. 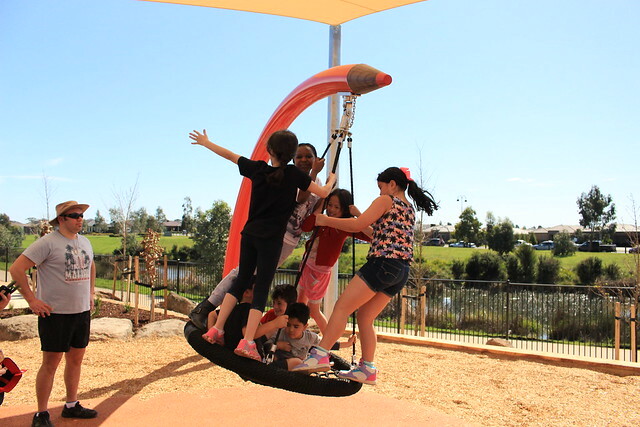 Physical disabilities, coupled with childhood disorders, and the ever- changing demographic of stay at home carers, means that every detail needs to be considered for a space to be truly inclusive. 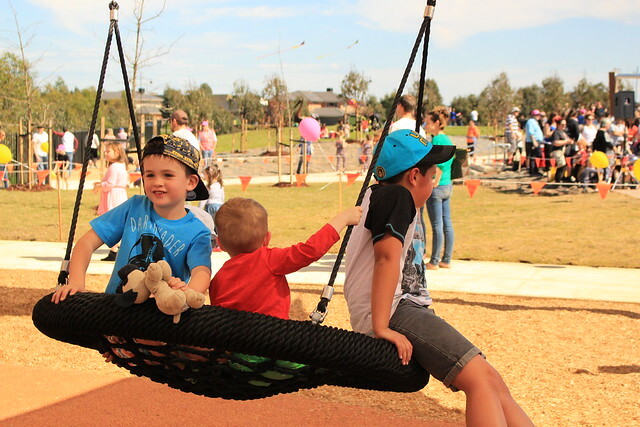 It’s not about installing a liberty swing and a few ramps up to a slippery slide. 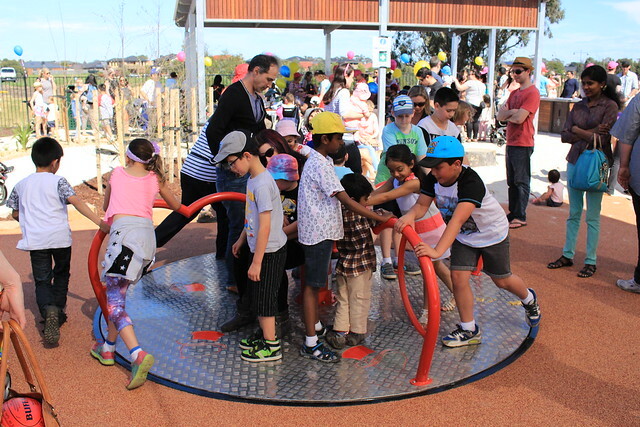 It means designing and creating custom made, accessible and intergenerational play equipment and amenities, incorporating accessible pathways, passive areas, sensory and tactile play and artworks, graduated challenges, points of recognition and visual cues, fencing, accessible parking and bus drop off zones.